Thank goodness we have a busy single mother and city council woman living next door! Besides being an awesome human being, she also has a fairly unkept yard- which keeps the Pitcher family from being the only slobs on the block. I think all the very tidy old people on our street use their hedge trimmers EVERY DAY. But a few weeks ago, I looked over the back fence and noticed a veritable dandelion paradise. 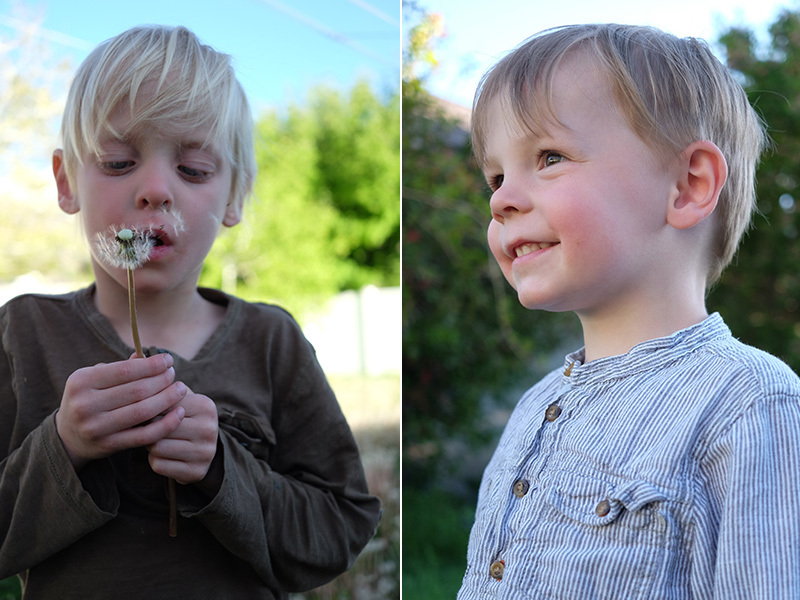 As the sun was sinking, I herded my children over into the neighbor's yard to stage a photoshoot. Louise also went to bed. But I forced my other children to participate! 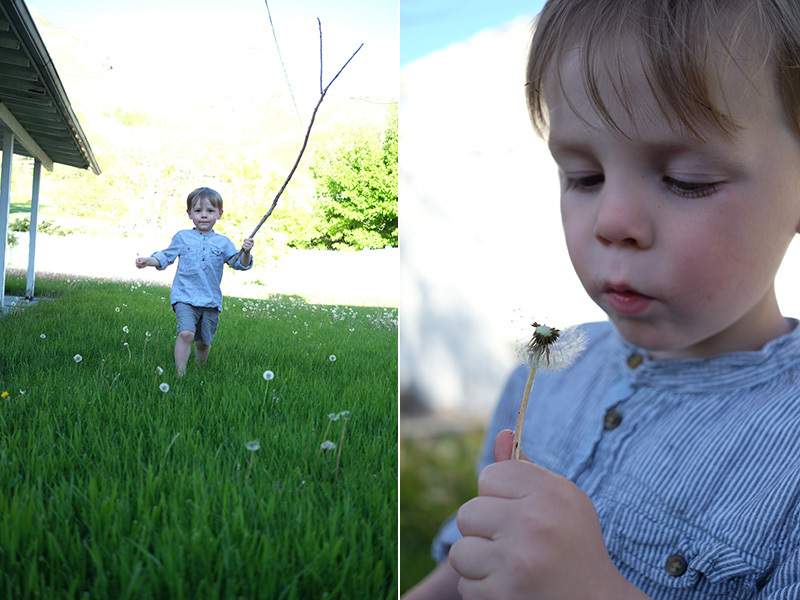 At first, it was just fun to run around and blow out dandelions. After about 15 minutes, I asked Micah, "What are you wishing for?" 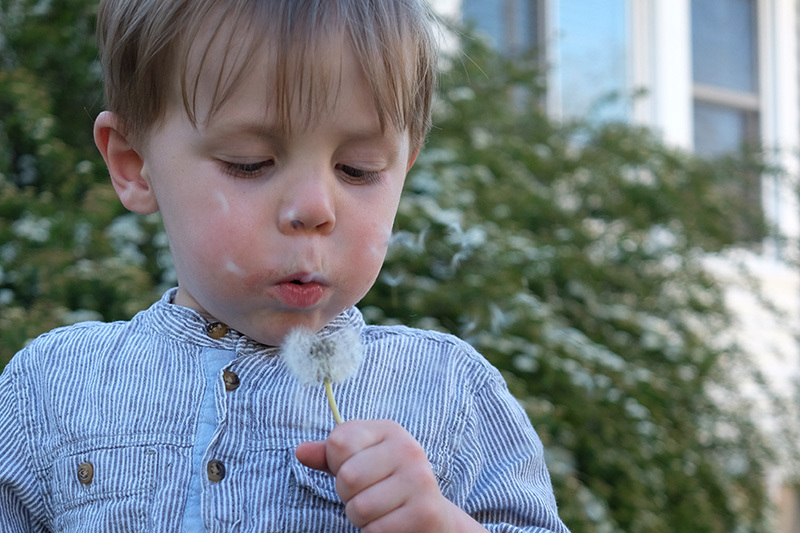 They didn't know that you're supposed to make wishes when you blow out a dandelion! 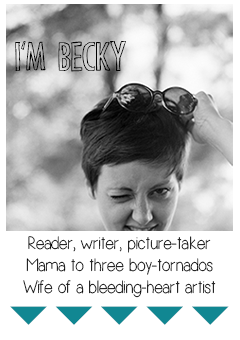 I guess I'm failing as a whimsy free-spirited mother. 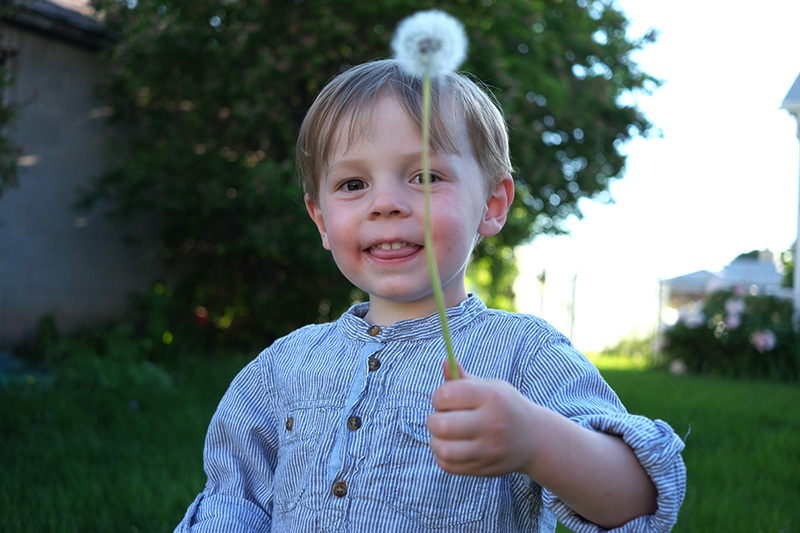 I explained about the wish-fulfilling abilities of dandelions. 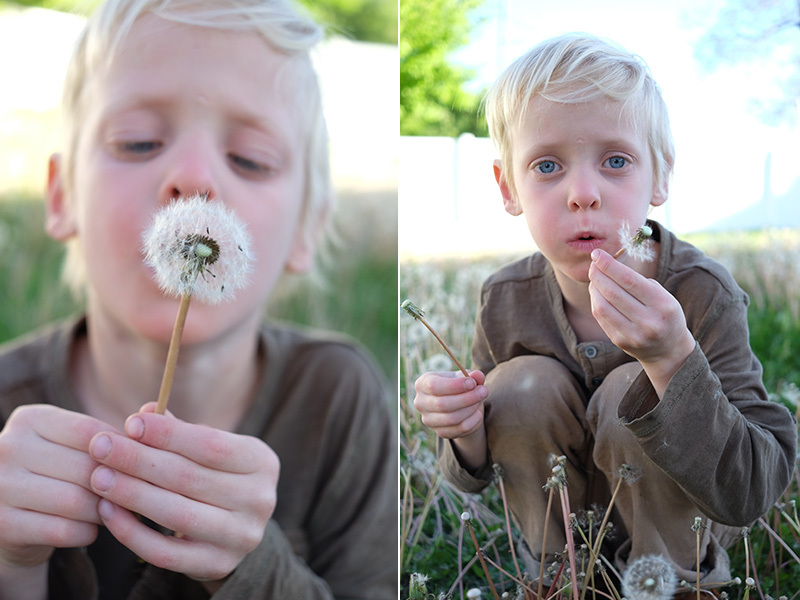 Micah promptly picked another dandelion and whispered, "I wish I could always be kind!" and August, ever the mimic, picked one and also said, "Be kind!" 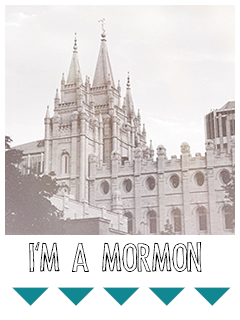 They're really good human beings. I always wish for a million dollars or surprise thunderstorms, but I guess I've got a lot to learn. 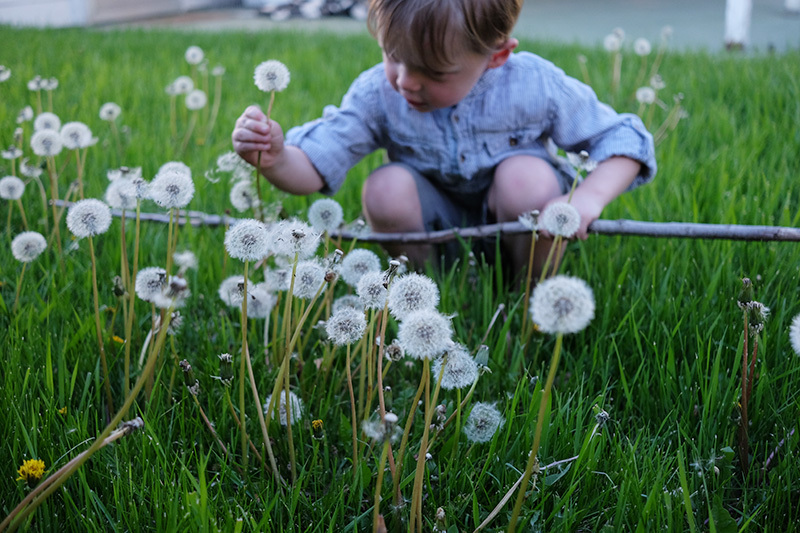 My dandelion wishes are always, "please don't spread your seeds all over my yard"! And yet I love them still! 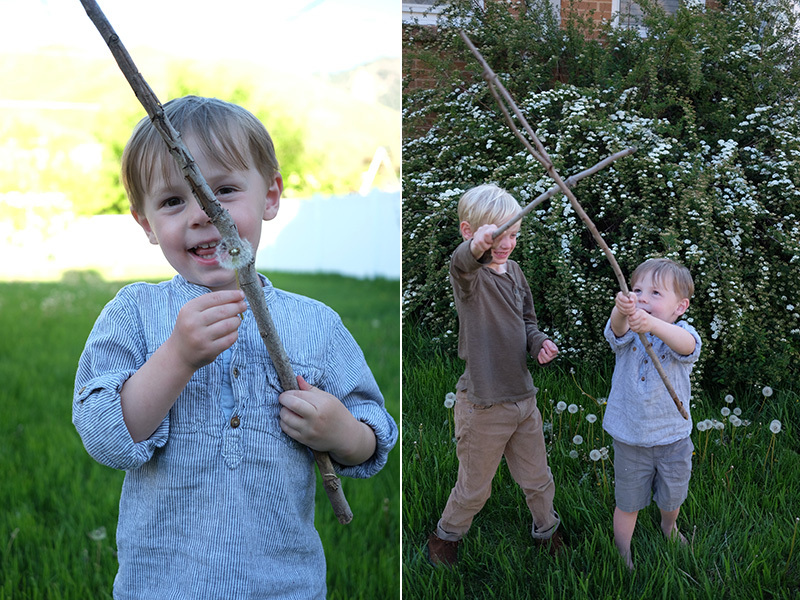 Cute photos of Micah and Auggie!